Those words rest lightly on a mountain of learning, love, mistakes, accomplishments, sacrifice, and gain. 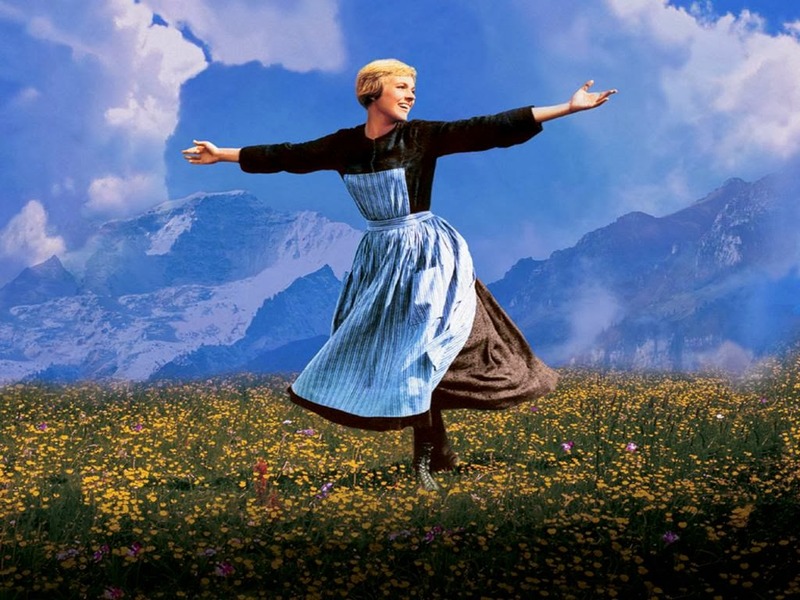 Oh yeah, I'm bringing the mountain metaphor for my most recent job and this is no idyllic Sound of Music mountain; it's craggy. But some of the craggiest peaks allow for the greatest of perspectives. And, even if this peak isn't gentle enough for Julie Andrews to run comfortably around in circles, she could still sing while hanging off the side, perhaps anchored momentarily by her tattered climbing gear. It was time to get off that mountain. Daisy expressed her hope multiple times today that no one would make fun of me tomorrow. I finally had to ask: how do you think I'm going to embarrass myself? She thought about it and made the sincere wish I would not split my pants on my first day. I pointed out I rarely wear pants to work. But if I were to wear pants, how would I split them? Daisy wasn't sure but she refocused her concerns on what I would be packing my lunch in. She asked me several times, "What does your lunchbox look like?" I don't know - I'll just use something we already have. Daisy shook her head sadly, "Oh Mom. I hope no one makes fun of you." Before bed, when I'm sure the kids were a little tired after a long day of errands and our Spring Ahead morning, Daisy voiced her final concern of the day: "I hope you don't fall in a volcano tomorrow." She repeated her concern several times until neither her little sister nor I could ignore her. Violet was emotional, "Stop saying Mom is going to fall in a volcano! I'm scared!!!" You think I'm going to be seeing volcanoes tomorrow? Daisy explained generously, "I'm picturing your head as a ball of iron and you just fall in the volcano." "STO-OP DAISY! STOP TALKING!!!! I'm wor-wied!" But I'm not going to be around volcanoes. And my head is not a ball of iron. "Sure, Mom. Just let me know how it goes. We'll know for sure tomorrow. "STOP, DAISY!!!! STOP TALKING ABOUT MOM!!!!!" Let's just all be quiet.